There will be one winner. 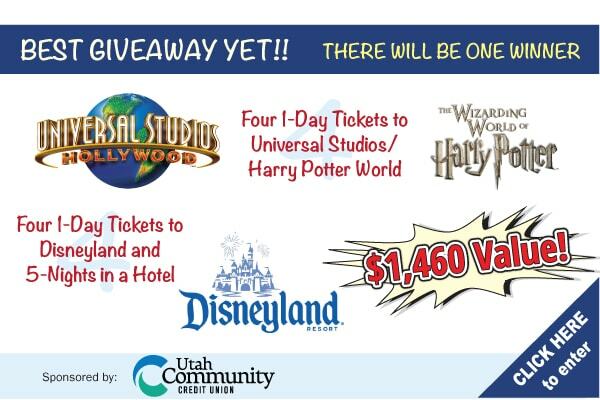 Sponsored by Utah Community Credit Union. Enter below for your chance to win! Please enter your information below to enter! Please "Like" our sponsor's Facebook page above. We don't like giveaways that let too many people enter and make it too hard to win! To avoid this problem, we end our giveaways after the Sponsor gets a set number of likes (depending on the value of the prize). This giveaway will end after sponsor gets 7,500 new likes (14,296 total likes).